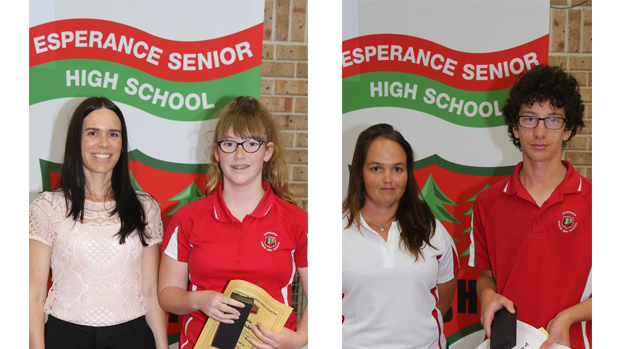 Year 7 Coordinator Jodie Falconbridge, Year 7 Dux Carla Harris, Year 8 Coordinator Lydia Thurston-Redpath and Year 8 Dux Vincent Newman. Lower School reports have been issued to students. The Trade Days ran over 3 days with 21 year 9 and 10 students taking part. It is the initiative of the Construction Training Fund. 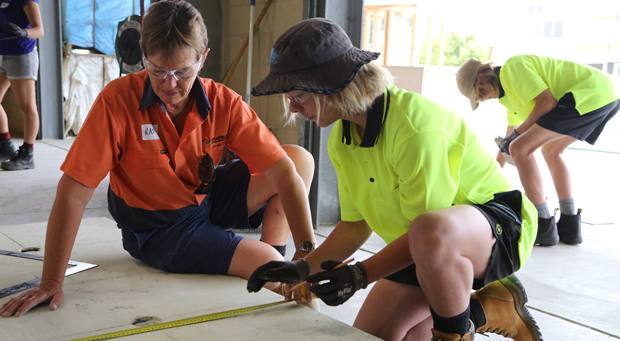 Part of their role is to help young people enter a career in construction, so there are skilled trade’s people for the future. Over the 3 days students got to experience tiling, roof plumbing and electrical trades. Thanks to the lectures from South Regional TAFE, Rod Connell, Peter Sudran and Kath Brown for running the activities. Students got to tile a floor, cutting the tiles to form patterns. Students also leart how to wire and build small electric motors. Roof plumbing involved assembling/fabricating roof gutters. The students did extremely well, even enduring a 37 degree day. The lectures where very happy with the students on the day and they look forward to come back and run even more sessions next year!!! Congratulations to Tate Bertola (Automotive), Breanna Hirt (Beauty), Abby Andrews and Brandi Lister-Buttle (Business), Kayla Bidulph (Children's Services), and Ali McArthur (Community Activities) who have been nominated and short listed for the State VET Awards. 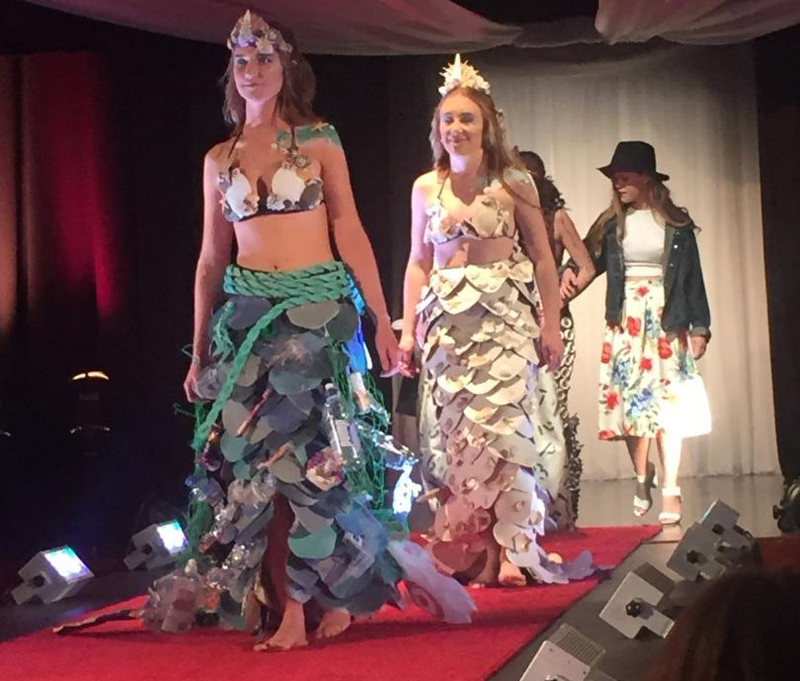 The students were nominated by Esperance SHS and had to submit a written application. The students have all been interviewed by an expert panel from Perth. The students are in line to win either a Certificate of Excellence, an Exhibition Award (top student from a particular industry area) or the very prestigious VET Beazley Medal for the TOP VET student in the state. Pictured is Abby Andrews who has secured a Traineeship at GJ Gardner Homes. 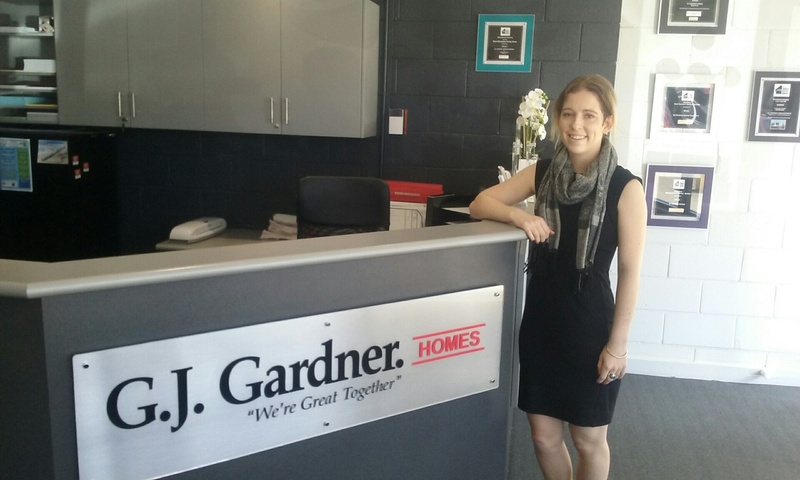 Abby will complete a Certificate IV while working full-time for GJ Gardner Homes. On the home page is Bree Hirt who will complete a Certificate IV Beauty Traineeship while working full time for Hair Picasso. Congratulations to the Social Sciences team who were awarded Honours at the Australia Pacific Finals on the Gold Coast on Saturday 15th October. Students had a great trip that included visits to some of the Gold Coast attractions. 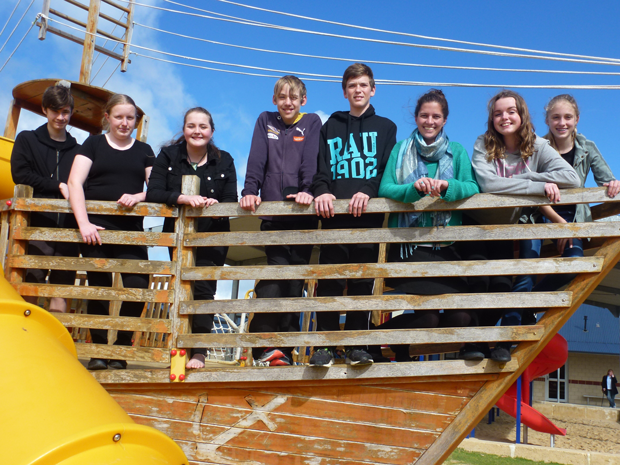 Students attended the Perth Royal Show and the Esperance Show. The students prepare throughout the year, practising building fences, learning how to judge wool and sheep and learning how to lead cattle. The first part of the Royal Show for students is farm skills held on the Thursday before the show opens. It is like the Olympics for farming! The students draft and drench sheep, weld, build a fence, use a GPS, identify and weeds and more. The students took part in the Grand Parade every day. Students were judged in Junior Parading competitions and our cattle and sheep were judged in a variety of categories. 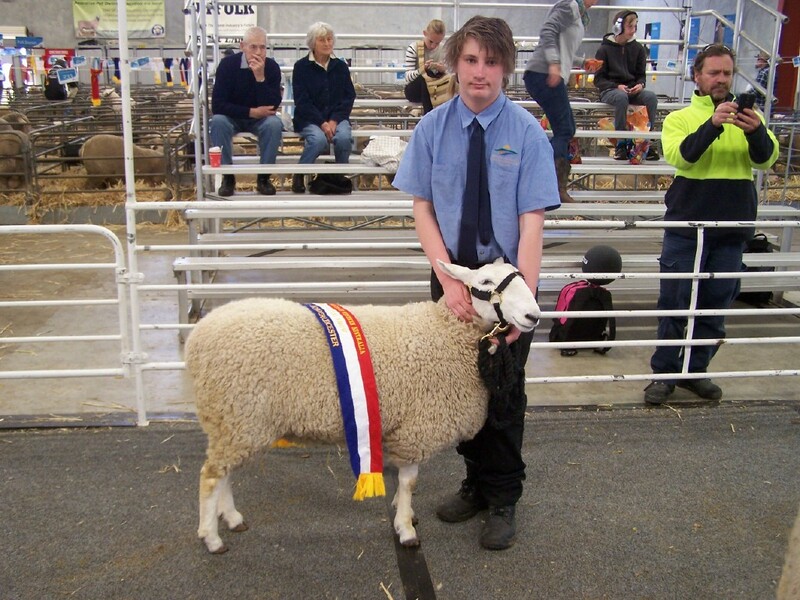 We were awarded Champion Ewe for the British Breeds at the Perth Royal Show. Many thanks to the staff and students who made this all possible. TOM is a problem solving competition. This year we had four teams: Language Literature, Social Sciences, Maths Engineering and Science Technology. There are seven students per team. The teams are given a problem six weeks before the regional finals. Teams have 10 minutes to present their solution for the problem to a team of judges. Two forms that are submitted outlining their solution and a costing list. Teams are only allowed to use hand-made props created from a list of allowable materials and recycled products for their presentation. 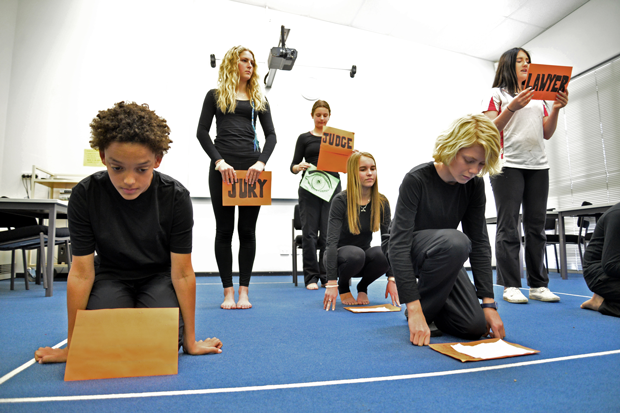 This year the Social Sciences and Language Literature teams went through to State finals. The Language Literature team were awarded honours (runner-up). The Social Sciences team won and are now funding-raising for the Australian Pacific Finals on the Gold Coast! Visitors began by registering at the Library. Previous Jumbunnas (the annual school magazine) were on display and drew a lot of attention. A special 50th Birthday Jumbunna edition was produced for the occasion. Copies are still available for $20 from the high school front office. The high school jazz band entertained visitors in the main quadrangle of the school. It was great to see so many people enjoying catching up with each other. The Bush Ranger Cadets put on a sausage sizzle and the Tournament of Minds teams organised Devonshire teas. Visitors were able to visit many open classrooms and were taken on a tour of the whole school campus so they could see the many changes that have occurred over the past 50 years. A special assembly was held at 1.30pm and a commemorative plaque was unveiled to mark the occasion. Engraved bricks are still available for purchase from the front office for $45. The bricks can be engraved with an individual or family name and they'll be placed in the brick paving in the main quadrangle. A Sundowner was held at the Yacht Club in the evening for friends to continue reminiscing. Special thanks to the organising committee who made the day so successful! The student experiments were displayed in the high school gym on Tuesday 18th August. Parents, guardians and primary schools were invited to view the displays in the gym. Primary school students completed a Science Quest during their time here, where they had to find specific answers from certain displays. Which type of chocolate melts the fastest. Three cash prizes per year group for the best investigation, which includes the report and display, were on offer - winners announced soon. Thank you to Apex for their support of this great event. Special thanks to Esperance SHS teacher, Mrs Ann Chambers, who worked before school, recess, lunchtime and after school to help students finish their garments! Four teams of students had 12 hours to write, edit, illustrate and submit an original story for the competition. The competition is run by the Kids Cancer Project. Teams pay an entry fee and this money, as well as any additional funds raised by the teams, is donated to the Cancer Project for research into beating childhood cancers. Students are given some parameters at the start of the day to guide their writing. It is a great challenge for the students to work as a team to achieve their goal. Award winners are announced in October.